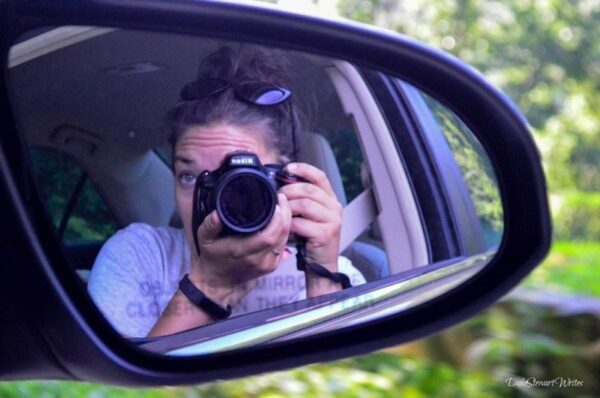 We got started driving pretty early in the morning and pass through all that crazy I-40/85 traffic around Greensboro and Winston Salem. It’s a pretty nice day and not too hot yet. 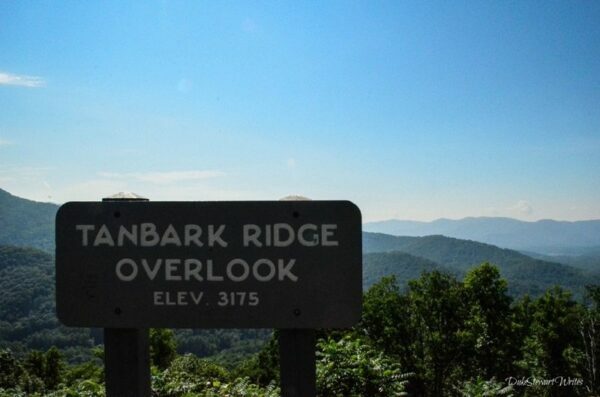 Just outside Asheville, the car turns off the interstate and enters that fabled Blue Ridge Parkway that everyone talks about. Christina and I are pretty excited because this is our first time, and the hype is definitely there. 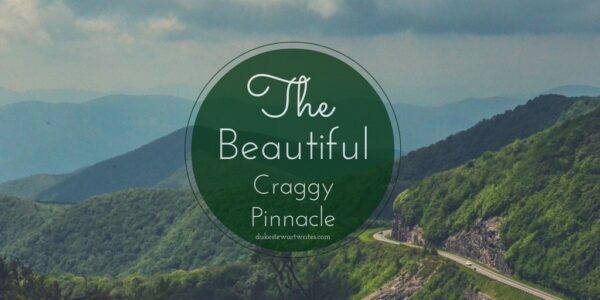 We’ve come to visit the BRP’s Beautiful Craggy Pinnacle and will come back with these epic photos from the trip. 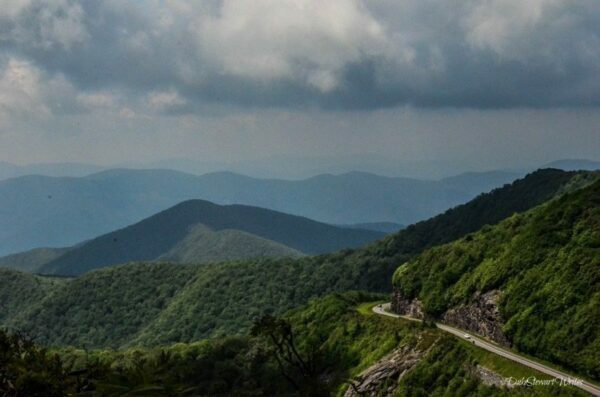 The drive up to Craggy Pinnacle is filled with winding curves, mixing tree-covered roads and open views out in the mountainous abyss. We stop at a few overlooks along the way and I can see why people get hung up on each stop along the 469-mile long Parkway. Since I’m due for something sarcastic, this is meh. I mean, who would ever come to a place like this? 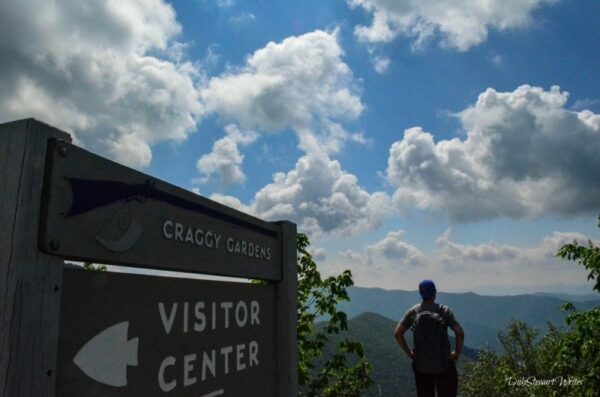 The car finally arrives at the Craggy Gardens trail that veers away from Craggy Pinnacle. This trail meets the Douglas Falls Trail that’s part of the Mountain-to-Sea. The Visitor Center between the trail and Craggy Pinnacle is full of maps of parks-related gear. It’s one touristy shop I’d totally consider buying from, as long as it goes back into our National Parks. 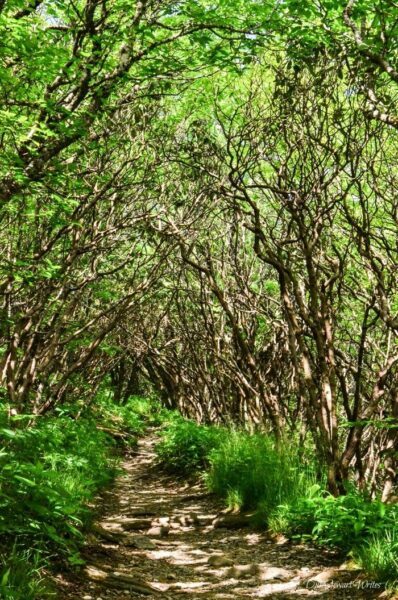 I hop off my soapbox and we descend down a quick set of steps into the Craggy Gardens trail. This trail will eventually lead to Douglas Falls but we turn around for Crabby Pinnacle, on the other side of the Visitor Center. 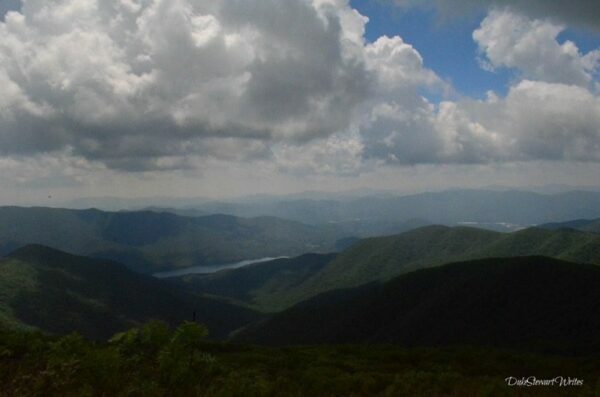 It’s a short walk up to Craggy Pinnacle, really nothing more than a steep set of stairs from the Visitor Center. The view is such a steal for that short of a walk. 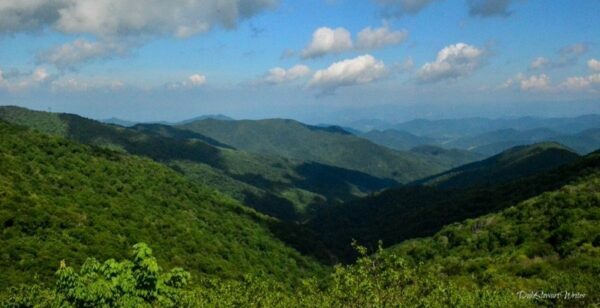 Everyone raves about June and the Catawba Rhododendrons but those Blue Ridge Mountains in the distance are fine enough for me! I used to live in NC and didn’t know about this one. I liked the pics too and the quote, one of those that makes you think. 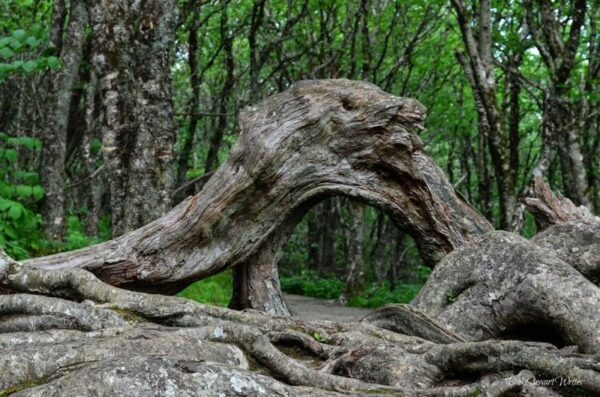 How did you select this location to explore? 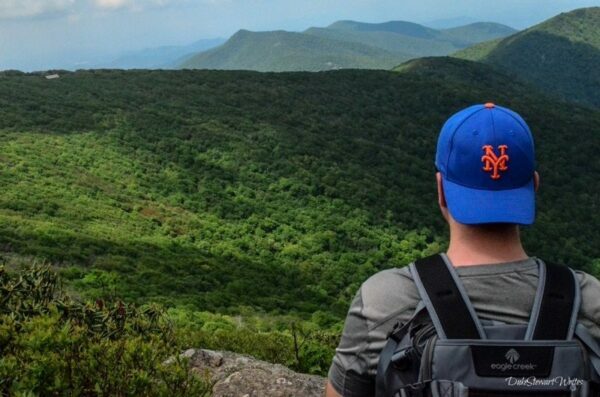 Hiking views without the hike! Great photos as always! Thank you, Cathy! I can’t wait to go back! Ever been to this part of the country?